Excitement for 2019 Somerset Day is building, as events are being organised, and Somerset businesses are lending their support to the county’s big day that takes place on Saturday 11thMay. Somerset County Cricket Club is the latest big name to become an Official Partner of Somerset Day. 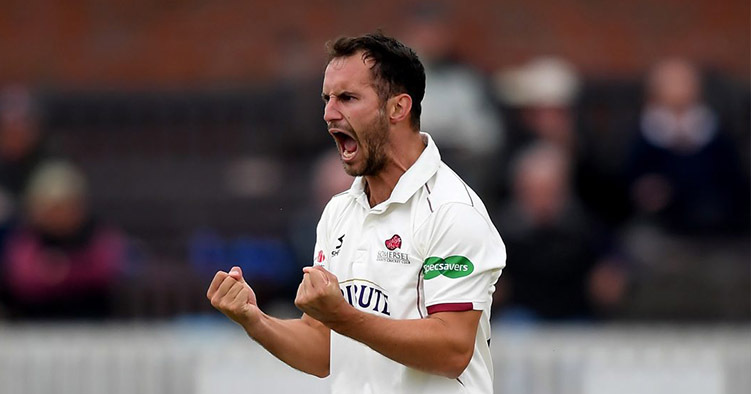 “We felt it was really important to lend our support to Somerset Day,” says Commercial Sales Manager, Sam McIntyre from Somerset County Cricket. “We represent the county all year round, but this is an event that brings everyone together on one day to really raise the roof for Somerset. BBC Somerset has also agreed to become an Official Partner of Somerset Day. It has been a firm supporter of the day over recent years, and will be reporting on the run-up to 11thMay, as well as events and celebrations taking place. Somerset County Cricket joins other Somerset businesses, Evosite, Thatchers Cider, Wyke Farms, Clarks, Pynes and Milsted Langdon as Official Partners of Somerset Day. Hestercombe House and Gardens is famous for its unique collection of gardens spanning three centuries of history and design. Visitors to Hestercombe on Somerset Day can enjoy a musical delight with The Albion Quartet, with a programme called “The Art of Fugue, Voices in Dialogue.” Or, with fifty acres of stunning landscape and formal gardens, visitors can enjoy the Contemporary Art Gallery, Restaurant, Café, Gift shop and Plant Centre. Meanwhile Henry,which has become a unique part of British culture, has declared its support of Somerset Day too. The first Henry rolled off the production line back in 1981, and now, more than 11 million Henrys have been made, proudly designed, engineered and built in Chard.